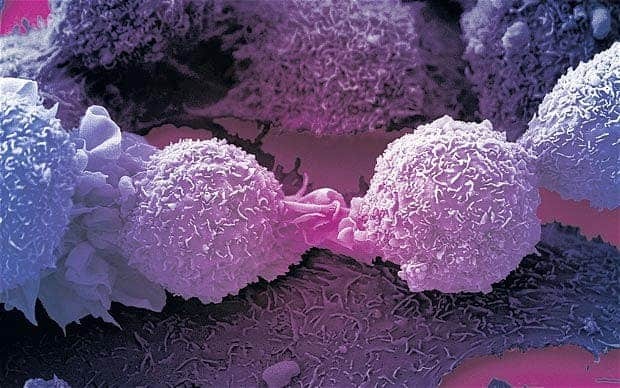 For the first time, aggressive breast, lung and bladder cancer have been neutralized and turned back to normal cells, prevented from excessive multiplication. Scientists at the Mayo Clinic in Florida, US, likened it to applying brakes to a speeding car. Cells need to constantly divide to replace and renew themselves, but in cancerous cells, they reproduce too much; when everything is working properly, everything is regulated by biological microprocessors called microRNAs. They tell cells to stop multiplying by secreting a protein called PLEKHA7 which breaks the cell bonds. But in cancer, that simply doesn’t work anymore. Scientists first figured out they could make cells cancerous by instructing the microRNAs to stop producing the protein. So in cancerous cells, if they could somehow instruct it to start producing the protein again, cancer cells would be reprogrammed. This is exactly what they’ve done. So far, results have been surprisingly positive. In doing so, they’ve also solved one of cancer’s longstanding riddles: how do our bodies regulate cell multiplication, and why does that stop working in cancers. However, so far, they’ve only tested their results in human cells in a lab. There’s still a long way to go before actually testing and implementing this in human; as always with this type of treatment, the main concern is the delivery in gene therapy. Basically, in order to reprogram the microRNA to stop cells from multiplying to much, we need to use gene therapy, and gene therapy is often as terrible as it is incredible. We simply don’t have a good enough understanding of the interactions in our genome, and the side effects could be huge. This isn’t an immediate cure for cancer – unfortunately, nothing is at the moment. But in time, coercing cancer cells into behaving normal seems a much better option than chemo or radiation. It’s a step in the right direction.